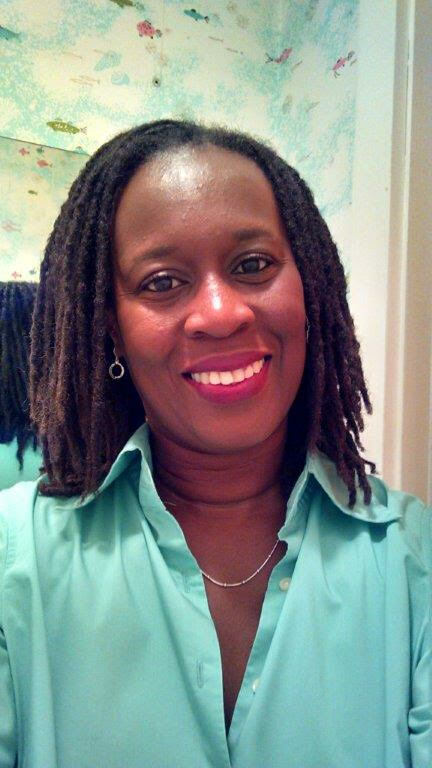 Sherron Brown returns as the co-director of the Fall Healing Heart Retreat. Sherron started co-facilitating the Healing Hearts Retreats with Susan in January 2106. She is a seasoned instructor who started at Healing Hearts by offering a contemplative writing workshop for women in 2011. The women who attended loved the workshop and loved Sherron. She has an amazing ability to patiently and clearly communicate with women and support them with her gentle but firm guidance and loving kindness. 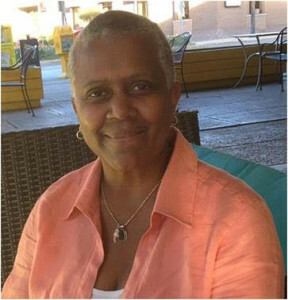 Sherron has become an integral part of the Healing Hearts community. 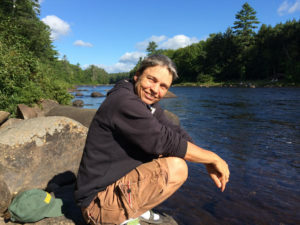 Susan Rausch is the owner and director of Camp Earth Connection(CEC) and will be your host and co-director for the weekend. 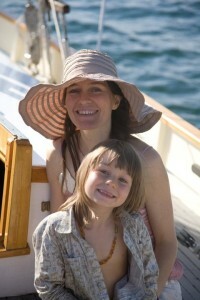 Susan designed the Healing Hearts Program and introduced the first retreat for women in the Fall of 2010. In addition to the Fall Weekend Retreats, there are also Fall Day Retreats, Winter Weekend Retreats and a Winter Day Retreats. Susan is pleased to welcome you to your first visit or your return to Camp Earth Connection. Susan is also happy to announce some wonderful facility improvements! CEC now offers additional lodging: Two one-room Cabins w/electric; Four rustic cabins w/out electric; and a cozy pop-up camper with electricity. Tent and lean-to camping is always available. The Camp has a newly constructed shower room with hot water and a separate room with compost toilets. Susan designed Healing Hearts Retreats to provide a safe space for women to support one another in their individual and collective journeys in healing and growth. Through the exploration of the arts, healing practices, and connection to the earth through workshops, performances, and activities, women share their knowledge, expertise, and experience so that each may heal more deeply and stretch into living her truth more fully. The aim is to deepen the sense of community among women, increase personal peace and well-being, and empower women to be more effective in whatever service they offer the world. Healing Hearts welcome a richly diverse population of women who vary in culture, age, sexual preference, socioeconomic status, and persuasions of all kinds. 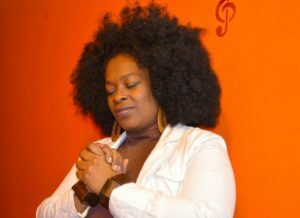 Trece joins the Healing Hearts Women’s Fall Retreat for a 2nd Year. We welcome her back on Friday night as she shares her songs and inspiration with us. A Certified Holistic & Clinical Aromatherapist, Cha is an educator in the field of Aromatherapy and brings many years of aromatherapy education and teaching experience to her students at AromaEducators, School of Essential Oil Studies. She teaches a 235- hour Aromatherapy Certification Program (ACP) that is approved as a Level 1 and Level 2 curriculum by NAHA (National Association for Holistic Aromatherapists) Standards for Professional Aromatherapy Education. She also teaches short 3 & 4 hour workshops, in addition to one day and two day workshops. She is both enthusiastic about her vision and dedicated to offering awareness of using essential oils safely with aromatherapy through research and practical hands-on use in her classes. Her passion is to educate “One Drop at a Time”, about the chemical constituents of essential oils that offer therapeutic properties. With this base, students are able to formulate wisely and knowledgeably with an emphasis on safe use for creating products professionally and personally. She currently lives and teaches in Ithaca, NY. Camp Earth Connection welcomes Cha’s return as an instructor at the Healing Hearts retreat and as a presenter on the Women Business Panel. Susie is an Entrepreneur, businesswoman and vegan chef. She is the creator and owner of Susie’s Seitan. 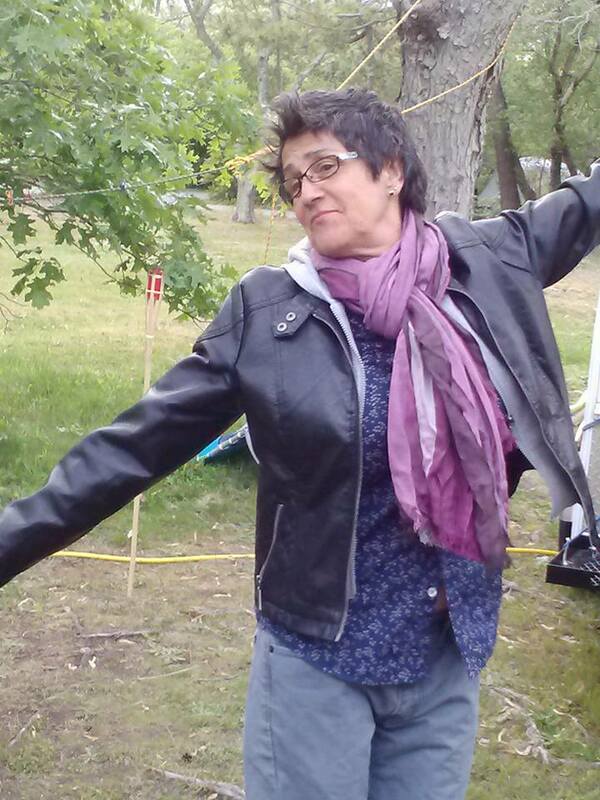 Susie attended Healing Heart Fall Retreat for the first time in 2014. In 2015 she taught and led Salsa dancing with the women at the retreat. The result was a whole lot of fun and dancing. Susie has also participated in the Fall and Winter Weekend Healing Heart Retreats and is a committed volunteer at Camp Earth Connection for the Healing Hearts Retreat program. We welcome Susie back to share some of her story of Susie’s Seitan. Healing Hearts is excited to welcome Gladys Brangman as a returning presenter this Fall. One of Gladys’ life goals is to help people live and work in peace. Disagreement and conflict are interwoven throughout all of our life experiences, and Gladys’ life has been no exception. After learning the benefits of well-managed disagreement, she decided to make the study and practice of healthy conflict the calling of her personal and professional life. Using her education in communications and conflict resolution, she created a company that brings honest communication back into our conversations and addresses conflict by training peacemakers. As the founder of Integrity Communication Group LLC, Gladys has over 30 years of experience in various industries. Gladys’ work experience and connection to her community gives her a unique and personal perspective on conflict resolution that can benefit many. Sareanda Lourdes has presented workshops at Healing Hearts for the last 3 years with great success receiving many positive reviews. Camp Earth Connection is excited to welcome Sareanda back to lead morning Yoga sessions for women of all levels. Sareanda is a mother and a holistic women’s health nurse with a practice in Maya Abdominal Therapy, Holistic Pelvic Care, Botanical Medicine, Wild Feminine Circles, and Kundalini Yoga. Every woman has access to the power, spirit, and joy nested in the root of her body; Sareanda is devoted to helping women remember this power and thrive, physically, energetically, and spiritually. Linda is a Naturalist and Outdoor Educator and has led multiple workshops at past Healing Hearts Retreats. She has been roaming the Hammond Hill area for the past 30 years and she feels a special attachment to the place and the creatures that live there. 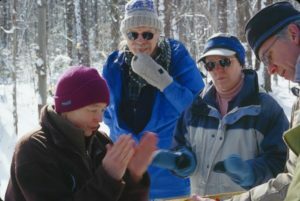 Linda has been a Naturalist/Educator for Cayuga Nature Center and Camp Earth Connection, and has led workshops for the Sierra Club, Cornell, SUNY Cortland, the Finger Lakes Land Trust, and the Women and Tracking Conference. She is passionately interested in animal tracking, and has studied tracking with Charles Worsham, Sue Morse, Paul Rezendes and George Leoniak. She holds a Level III certification in Track and Sign with Cybertracker. Linda’s new book, A Field Guide to Tracking Mammals in the Northeast, has just been published by Countryman Press (W.W. Norton). Check out her website, www.lindajspielman.com.